10in x 12in x.025 metal with four mounting holes. 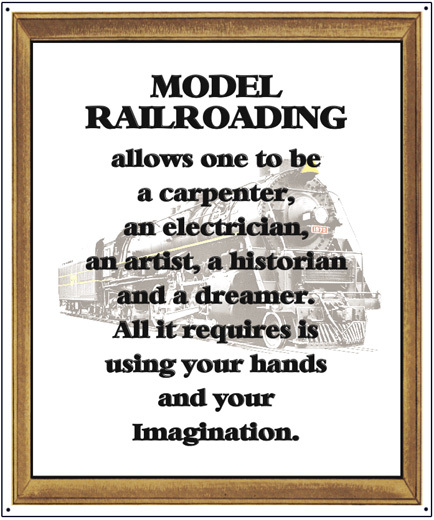 Unique and true sign regarding Model Railroading. A sign every model railroader needs in the train room. Click on above image for zoom.